Many people wanting to rent a home as well as existing tenants find it a challenge to raise a pet in an apartment. Most often, they cannot find a rental unit that will accept pets. This might not be the case any more as a recent Consumer Insights Report on Tenants and Sharers have found that eight out of 10 landlords are open to accepting pets. But this comes with certain conditions and it often involves paying a higher rent for renters. The researchers pointed out that if only tenants take the effort of reaching out to their potential landlords and negotiate, they could raise their beloved pets in their new apartment. 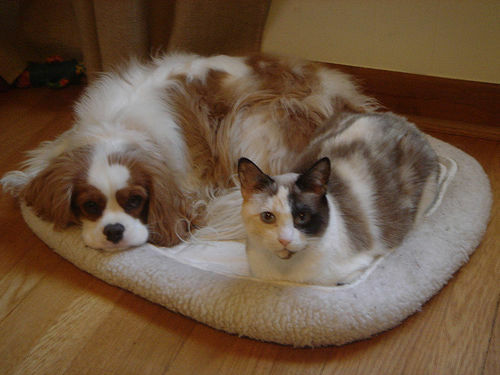 Arthur Charlaftis, head of realestate.com.au’s sales and operations, said many people assume the landlord or property manager will automatically disallow pets. He further explained that just because a rental unit is not marketed as pet friendly does not necessarily mean it won’t allow tenants to bring their cat or dog. 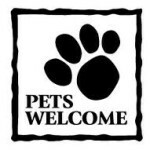 Charlaftis encouraged renters to simply make an effort and politely request the landlord allow them to raise a pet. He said landlords and property managers are flexible when it comes to this as long as the tenants are responsible and most importantly, they are willing to pay an extra amount to their monthly rental fee. Here are some useful tips you can follow when approaching a landlord regarding bringing a pet. A good idea is to offer to pay more rent. This will encourage the landlord to consider your request. But then again, do not be disappointed if the landlord will not accept your pet because sometimes, strata and communal laws may also prohibit the owning of animals in a property. If you’re currently living in an apartment and would like to raise a pet, be sure to consider the space you have. If there isn’t much space available, raising a goldfish instead of a dog might be ideal. If you’re still looking for a rental unit, however, always keep your beloved pet in mind. You need to search for a good one that can accommodate you and your animal. Common Homeseller Mistakes: Is your home ready to open for inspection? I had a real hard time finding accommodation for my dog. Most of the landlords was not ready to allow pets and those who were ready to allow pets asked for a premium price. After a long struggle I found a landlord who gave me his apartment at a nominal price.